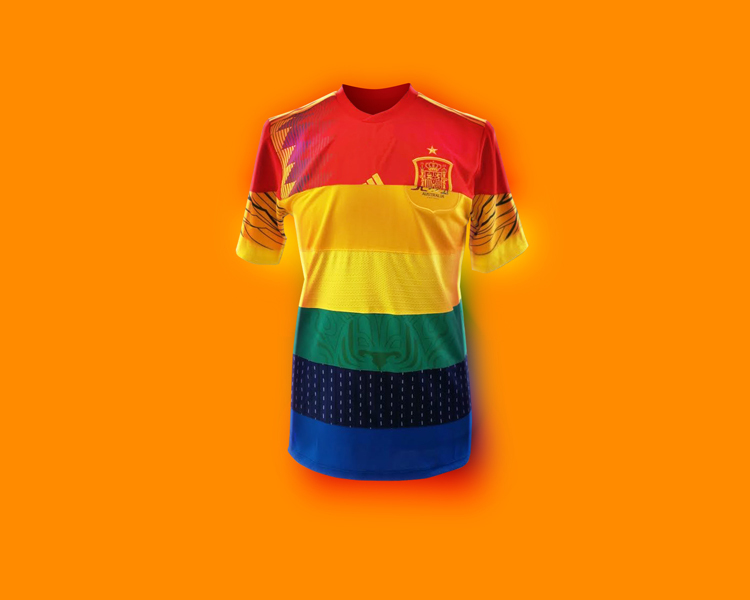 Homophobia is still rife in football culture – so creatives from across the world have come together to design six, rainbow-inspired shirts for the World Cup, which will be sold to raise money for charities in Russia and beyond. England is in the World Cup semi-final for the first time in 28 years. If they make it to the final, it will be 52 years, incidentally since the last and only time we won the tournament in 1966. Pubs, beaches and outdoor spaces throughout the country have been packed as people wait with baited breath to see if our boys make it to the next round. Football fever has well and truly swept across the nation, and brought together fervent football aficionados and complete novices. While celebrating England’s so-far success in the tournament brings a lovely sense of national pride, patriotism and togetherness, there is an underlying darker side to football culture, centred around male bravado, sexism and “laddiness”. There is evidence to suggest that the male-dominated nature of sports such as football can breed a culture that may lead to much more serious issues. Domestic abuse charity Pathway Project recently launched a campaign to raise awareness of the tragic and shocking fact that abuse rates increase by 38% when England lose games compared to 26% when they lose or draw, while homophobia still appears to be rife. 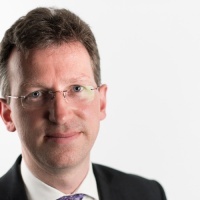 Last year, a dossier submitted to the Football Association (FA) found that Brighton and Hove Albion supporters had been subjected to homophobic insults in over half of their club’s games in that season. While the World Cup is a unifying, celebratory event that should be for everyone to enjoy, there is still a lot of work to be done on changing perceptions and breaking outdated stereotypes in the football community. This is particularly relevant for tournament host Russia, which still has anti-gay laws in place that have no doubt impacted the number of homophobic verbal and physical attacks in the country. 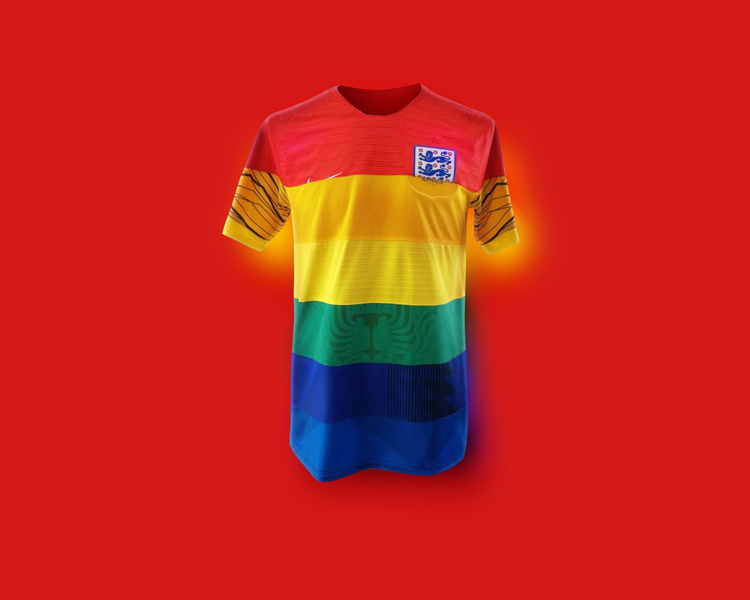 With Pride London having just taken place, the annual festival celebrating the LGBT+ (lesbian, gay, bisexual, transgender and other groups) communities, it seems the perfect time to promote diversity, equality and acceptance in football. 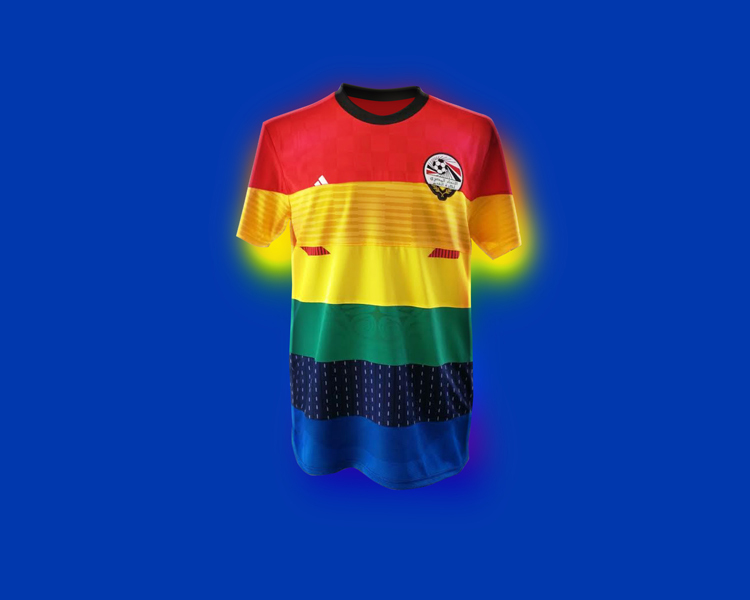 So now Los Angeles-based (LA) design studio Activista has launched a campaign that sees football jerseys decorated in the spirit of the well-known rainbow flag associated with Pride and LGBT+ awareness. 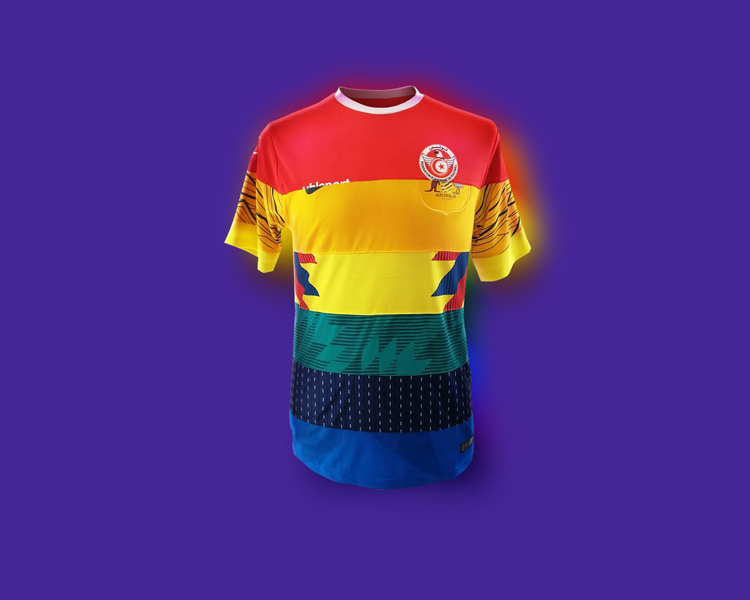 The project involved commissioning five creatives from across the world alongside themselves to design six different jerseys, all incorporating the colours of the rainbow. 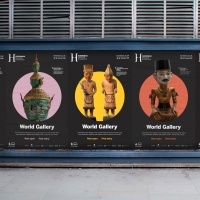 This included Brazil-based photographer and director Marcos Mello, Netherlands-based football branding designer Floor Wesseling, UK-based executive producer Helen Trickey and Spain-based advertising and branding studio Carlitos y Patricia. The six jerseys incorporate team strips from different countries across all five continents competing in the World Cup, including Australia, Brazil, Iceland, Japan, Senegal, Spain, South Korea and Tunisia. 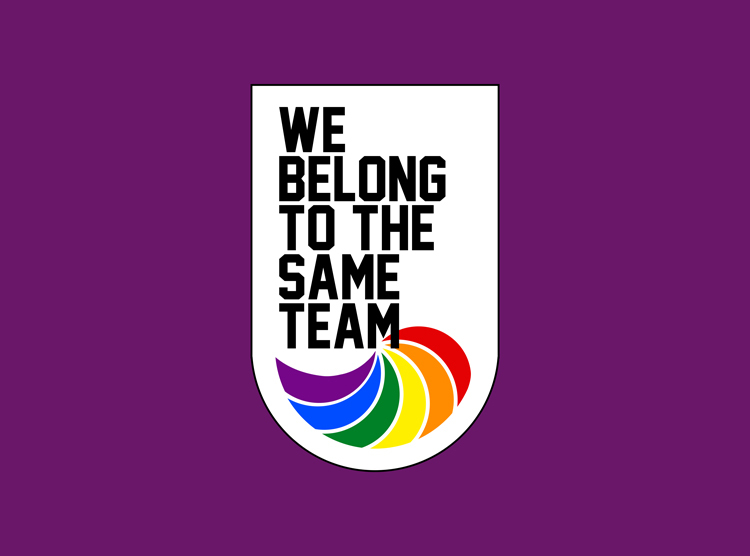 They all have an arm patch that reads: “We belong to the same team”. The six shirts will be signed by the various designers, then five will be auctioned on eBay on 15 July, the day of the World Cup final. One will be given away in a competition by online football magazine Copa90. 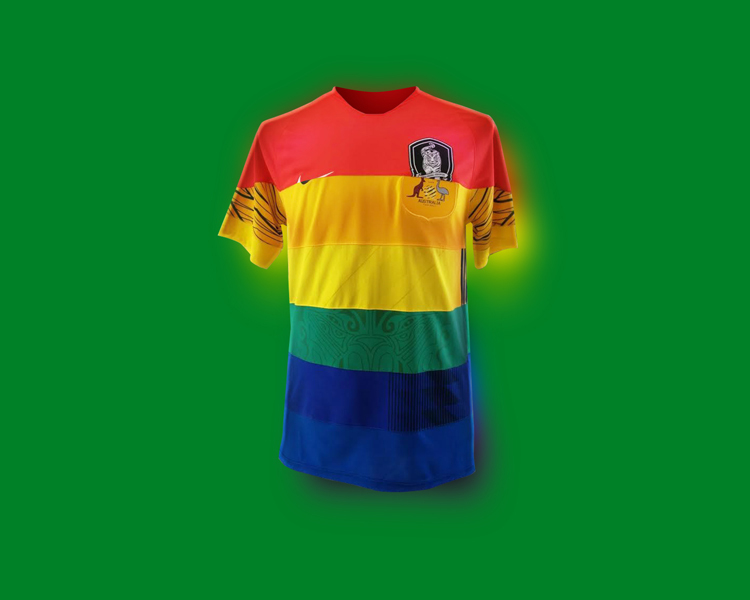 All proceeds will go towards LGBT+ charities, including the Russian LGBT network and the United Nations’ Free and Equal campaign, which supports people in countries such as Russia where being gay is not openly accepted. 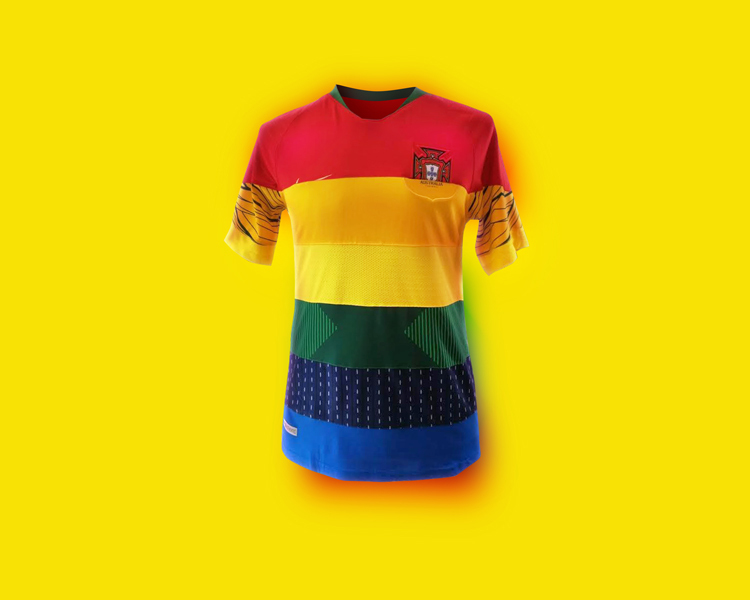 Celebrities, footballers and brands worldwide have supported the Same Team Jersey initiative, including L’Oréal, Paco Rabanne, Brazilian ex-footballer Pelé and the first LGBT+ soccer team in the world. Follow the project on social media via #SameTeamJersey on Twitter and @SameTeamJersey on Instagram.